We'll be featuring over 15 local artists, artisans, and entrepreneurs who will have a huge array of incredible gifts for all the local lovers in your life. Sip on some festive cheer while you nibble on snacks, shop, and catch up with friends. Display of Christmas Lights for friends, family and community. Leduc Country Lights has been a festive event that has brought the Christmas Spirit to thousands of people over the last decade. Please bring a donation for the Leduc Food Bank. 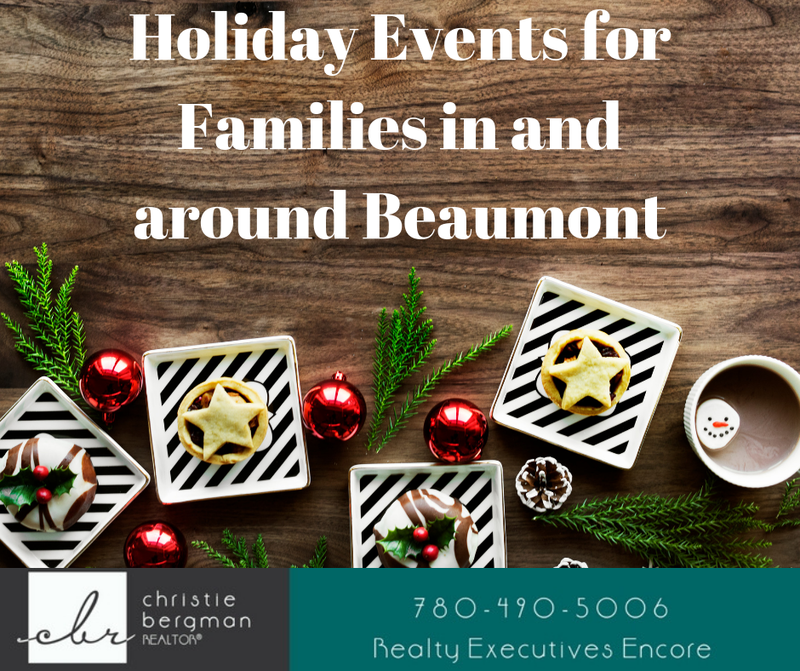 Bring your friends and family out to enjoy Beaumont’s annual holiday celebration! Sleigh Rides, Santa and Mrs. Claus, hot chocolate, oranges, cookie decorating, crafts, ice carvings, music, and reindeer. Beaumont/ Nisku Christmas Elves will be onsite accepting toy and food donations for local families in need this holiday season. Fireworks at 9pm over Don Sparrow Lake. Join us on Main Street for the 2018 Santa Claus Parade. Our local Beaumont Fire Services will be having a food drive to benefit the Beaumont Nisku Christmas Elves, who support families in need during the holiday season! Tour a fire truck and leave a donation for the local food bank. Kids only, 10-17, they get to make a gift for mom or dad, grandparents, or any other member of the family. Several projects to choose from, all materials supplied. $35 per child. Safe and well supervised Workshop. Get a Santa & Grinch photo with your family - furbabies welcome! All proceeds go towards the vetting costs of our animals in care. Drop in, FCFS so arrive early. Christmas concert featuring a string quartet from the University of Alberta. Dr Richard Lee is once again hosting Santa and Mrs Claus so please join us for some cookies and hot chocolate and remember the occasion with professional family photography! The Boys and Girls Club of Leduc and Canadian Tire of Leduc are hosting the 8th Annual Leduc Festival of Trees. There will be a Children's Carnival, with crafts and Santa, as well as a Vendor Market and the beautiful Tree Display and Auction. 4th Annual Holiday Shop Local Event!! Over 55+ vendors on hand to help you find those unique gifts you have been searching for!! Many handmade crafters and artisans!! Holiday Mini Photo Shoots hosted by Heart Prints Animal Rescue. The Kin Club of Beaumont is happy to be putting on our Cookie Walk Fundraiser again this year as part of the Annual "It's Not Too Late Holiday Market". The members of your local Kin Club are all busy baking away to provide delicious holiday cookies for everyone to purchase. Get the yummy fresh baked holiday cookies without having to actually bake them yourself! Great for last minute company or just a snack while wrapping those last minute gifts! Come join the fun and create special memories with your baby this holiday season! First, we’ll capture those special memories with a mini Christmas photo session. Then, everyone will paint a personalized Baby’s First Christmas photo frame, and create a personalized Baby’s First Christmas Ornament. Join us indoors for the Petting Zoo and outside for Hay Rides. Mr. and Mrs. Claus will be here for the visit too! The student group SAPP from Beaumont Composite High School is hosting a movie night to raise money for the Beaumont Nisku Christmas Elves. It’s the Kinette Club of Leduc’s third annual Breakfast with Santa. Come enjoy some pancakes, meet Santa and Mrs. Claus, ride in a horse drawn wagon and make your own Christmas ornament for FREE. This event supports the Leduc and District Food Bank and the Leduc HUB. Chartier hosts a handful of incredible producers and farmers for an evening of shopping! This is a great opportunity to stock up on delicious treats before the holidays kick in! Holly Jolly Christmas Party on Ice! Say farewell to 2018 and welcome in the new year with Chartier! We'll be offering a 3 course tasting menu for $75/person which includes a glass of prosecco, and the promise to avoid asking what your new years resolutions are. Celebrate New Years Eve in style and mystery! Amazing entertainment and mask reveal at midnight! Special guests and mesmerizing performers! Hor d'oeuvres served throughout the night and a cash bar!